Ron is great to work with. He is a straight shooter who is very fair with his trades. Jobs are ready when we get there which is critically important to us as a trade. Also, importantly, his jobs are always very clean. Hired them to design & finish basement and install various trim details throughout home. Very professional, excellent workmanship. I’m very pleased with the finished product and working with the entire team was a pleasure. Excellent company to hire. Accurate estimates, on-time delivery, and very helpful with all aspects of remodeling design. We had a remodel of kitchen and dining room, combining two rooms into one. Workmanship was excellent and project was done early. We’ll hire Lincorp Borchert for one of our future projects. Actually, friends of ours have already contacted them for a project of their own. We hired Lincorp Borchert to remodel our kitchen and it was the best decision we ever made. Having had very bad experiences when undertaking other home improvements and not really being sure where to begin, we were apprehensive about choosing a contractor. Lincorp Borchert was recommended to us by a friend (Glen Haege, America’s Handyman). From the initial consultation with owners, Denise and Bill, and designer, Mari, to the completion of our beautiful kitchen, Lincorp Borchert put us at ease and exceeded our expectations. They were always available to answer any questions, handled any problems immediately (there were very few), cleaned up the work area every night before they left, finished the job on time, and were always professional. All of their subcontractors were also very knowledgeable and professional. Their job foreman, Jim, was amazing. He kept us informed of every step of the project and went out of his way to do little extra things. We love our new kitchen and would not hesitate to recommend Borchert Building to anyone. 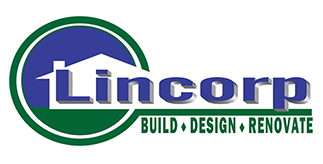 Lincorp Borchert recently guided my wife and me through a master bathroom remodeling project. From the beginning, Lincorp Borchert presented themselves as a group of passionate, patient, and professional individuals; who demonstrated the ability to listen, process, and provide a plan that worked for my family. Right after the planning and contract execution process was finished, Lincorp Borchert quickly started work in accordance with a published schedule. Lincorp Borchert worked diligently every day to accomplish scheduled tasks, reacted to customer driven changes in an accommodating manner, and maintained constant communication. As for the end result, all I can say is the process resulted in an exceptional product, which my wife and I are very proud of. This company truly responds with personal pride and they treat you like a customer.